Davis is well known nationally and internationally for his provocative, and challenging, yet humorous and down-to-earth public speaking style. He has given seminars on statistical methods and culture change in Israel, the Middle East, Vietnam, Norway, Denmark, Australia, New Zealand, England, and Wales! 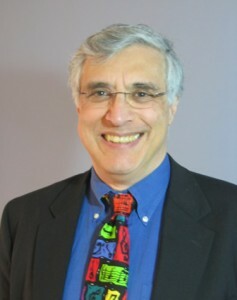 Since 2005, Davis has been a regular contributor to Quality Digest on applying statistical methods to everyday work, facilitating cultural resistance, and educating organizational culture. His book Data Sanity: A Quantum Leap to Unprecedented Results is a unique synthesis of W. Edwards Deming’s teachings into an innovative, improvement-based leadership philosophy designed to transform organizations. FHPCA: What is your “not to be missed” book, article, or podcast for this year? DAVIS: A new edition of my book Data Sanity came out last May. You can order a copy of the book here, and you can also find a short podcast about the book here. FHPCA: What will be the most exciting or vital element about your session at Forum? DAVIS: In Data Sanity: The staggering invisible waste caused by the routine use of everyday data, and the eye-opening SIMPLE, but initially counterintuitive, solution to it! In Those Darn Humans: How “disgustingly normal” and predictable cultural resistance is to ANY change- and how to deal with it effectively through a SIMPLE, results-based model of human (and organizational) behaviors and the personal use of some simple mantras to avoid getting an ulcer! FHPCA: How do you unwind from a stressful day at work? If you are in the HIM, IT, Quality & Compliance, or Leadership Hospice disciplines be sure to check out Davis’ session “Data Sanity.” In this session Davis will be going through tricks and tips that you and your organization can do to manage data better in order to have more productive conversations and organization when it comes to data issues. If you are in the Quality & Compliance, Leadership, or Human Resources Hospice disciplines you will probably find Davis’ “Those Darn Humans” session to be quite interesting. In this session, Davis will be talking about how to best help your employees deal with difficult change in the workplace.